realtor email marketing – Tour Real Estate Inc.
Realtor Twitter Tips: How to Be a REAL (estate) Twit! Twitter can be used for more than just letting anonymous people and friends know that you are at Costco looking for a 20 gallon tub of mayonnaise. If used properly it can be a powerful ally in marketing your main Realtor website, listings, or blog posts in order to increase traffic and generate leads. Who knew140 characters could be so powerful! Pick a name that has some of your desired keywords in it, or at least that has something to do with your services. Why make your twitter URL twitter.com/hinsel when you could make it twitter.com/boiserealestate ? Getting keywords into your URL is a good thing for search engines and to help people know what you do right from the get-go. You won’t get many followers if you stick to the default profile avatar. Put in your photo, or at least some sort of interesting graphic to catch peoples eye. A lot of times you will get people to look at your profile just based on the fact that your little smiley face caught their attention. Beyond that Twitter also gives you space to include a short bio; use this space wisely to include keywords and relevant information. You can also customize your background image – use this space to display a nice graphic listing some of your services so that it is visible behind your profile body. Add your location so people know where you operate from and don’t forget to add your website link as well! It’s great to have thousands of followers all over the country, it makes you look impressive to others, but fact is it really won’t help you leverage Twitter as a effective real estate marketing tool unless those followers happen to be in areas that you gain a lot of relocation action from. Do some local searches and find others in the area that are in the business or who you know and start there. The biggest mistake anyone can make in using Twitter is to fall prey to the repeating parrot syndrome. There is very little more annoying, or more counter-productive to good Twitter marketing than blabbing the same message constantly. Buy my stuff, buy my stuff, buy my stuff. You want to market your listings and services but don’t be obnoxious about it. Chances are it will lose you more followers than gain any. Mix up your messages now and then, put in a joke or funny quote, let people know you are a real person typing into the box, not some automated program. Using the @ symbol before someone’s username ( @tourre ) is a reply/mention and the user will receive notification that you were talking about them – this is great to get in touch with people or target specific “tweeps”. Using the # means it is tweet about a certain topic or event (#LAME is generally about things that are lame, etc). You also have the ability to send to tweeps that follow you and receive direct messages — these don’t show as a public tweet; these are great for asking specific questions you don’t want the world at large to see. RT or Retweet is a function that allows you to share something someone you follow has tweeted with all of your own followers; is great for sharing and making new connections with little effort. Got an open house? Tweet it! Got a new listing? Tweet it! 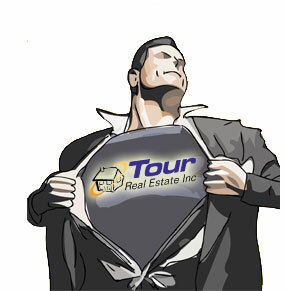 Just had Tour Real Estate shoot a real estate virtual tour? TWEET IT! Seeing a pattern here? Any time you do something of import for your marketing, whether it be updating your site, writing a new blog post, or making a closing you should tweet about it! 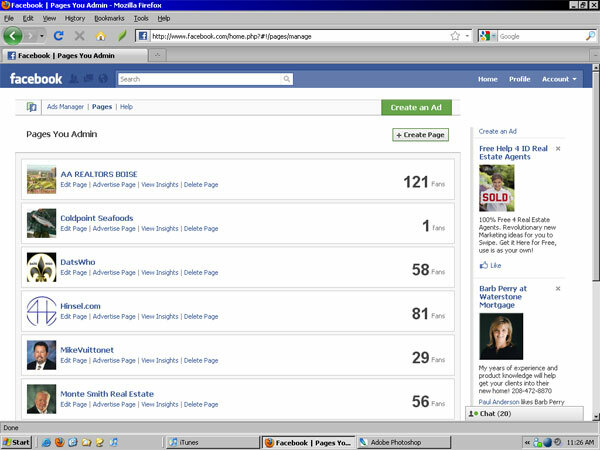 This can increase your follower base and help drive traffic to your main site or blog. This is almost as important as tweeting itself if you really want to work this platform. Search for topics that might lead you to people you can help, like “looking for a home in boise” or even just “boise home” will likely pull up some people looking for a place to buy – contact them! ENGAGE others and interact through communication: it is what this entire website is really for! Not sure where to start? Is your follower count weak? Try using Twitters advanced search function ( http://search.twitter.com/ ) to find tweets on specific topics or from specific areas. This is a great tool for seeing what is going on around you, meeting new tweeps, and getting the ball rolling. There are any number of other applications and sites that can further enhance your Twitter experience ( like Twipic for sending photos from your phone to your Twitter page, or Tweetdeck, or tinyurl for shortening web addresses ) but use these with some caution to keep from contracting repeating parrot disease. Keep it simple, Tweet relevant, informative,or humorous tweets often and you will be well on your way to being a effective Twitter marketer! All in all Twitter isn’t going to make or break your marketing strategy but it can be a useful resource to keep in your marketing toolbox and is a quick and easy way to share information, drive traffic, and find leads. Want to learn more about Realtor Social Marketing? Or maybe you want to get a Realtor website that puts you in control of your content and search engine visibility? Contact Tour Real Estate today to find out more about how you can start moving more real estate! The internet has changed the game in real estate and for over the last decade Tour Real Estate has been a big part of that change. Honestly, did you ever think back in 1999 that more than 80% of all home sales would begin on the internet? Fact is, that day came long ago, yet still most of the real estate agent base continues to miss out on internet generated sales. This shows while new technology can be effective, like any other tool it must be used properly in order to gain the best results — after all you wouldn’t try to cut down a tree with a hammer, now would you? So how can it be that over 80% of all home sales start online and yet 90% of all Realtors are unhappy with their online marketing results? Part of it comes down to the simple fact that many do not understand how to use these powerful tools effectively – they are trying to hammer nails with their saw instead of using it to cut wood. Another reason may be that many Realtors think that simply being online, just having a website and using it as a digital business card, is enough; this is a concept that went out the window over 5 years ago. Lastly, many are relying on the free websites and services provided to them by their brokerages to market themselves, instead of leveraging their own individual services via their own website; this can be a costly mistake. No, sorry. When there were only a few hundred available real estate websites online that may have been the case. And while having a good, recognizable brand is still good practice it’s not going to make or break your success – you simply will not be the next Nike of real estate, and even if you are it will not guarantee your online success. Never before has so much information been so available from so many different portals. What’s more with the downfall of so many big business companies, the consumer market is turning quickly to a preference to working with individuals rather than corporate entities. If you are still heavily marketing your corporate brand you’ve got to ask yourself: who is REALLY benefiting from it? 2. Trust your corporate IT department for the best results. Uhm, no. The corporate IT department is hired by the company, not you, thereby while maintaining your website might fall under their responsibilities insuring the success of your website does not. A website that is designed to be successful for YOU by marketing YOUR listings and services will logically benefit you, not the corporation and thusly it may be a good idea to manage that yourself or hire a company that is your advocate online rather than your brokerages. Corporate has different goals than you do. Corporate isn’t looking to protect your marketplace for you, they are looking to protect your marketplace for them. Use whatever website or marketing your office provides for you, but by all means don’t rely on that alone – by controlling and marketing your own individual Realtor services you can very often out-perform the big business brokerages all on your own. 3. Getting all the technology you can guarantees success. USING the technology you have is the best method, and even then success is not guaranteed. Regardless of your marketing, your technology, or anything else the fact remains that good Realtors sell houses, nothing else. In the end it will always come down to face to face time and how you help your clients achieve their goals. The technology and marketing can help you find them, bring them in, and make them clients but YOU and you alone will be the biggest selling factor. You can have video, $50,000 websites, designers bleeding you of thousands of dollars each month, lead management systems, and more — and fail completely. Why? Because all that is worthless if you have no leads or don’t know how to manage them! Most Realtor websites do not provide users with a way to capture leads, much less manage them the way a Tour Real Estate Realtor website does. Agents are tired of fruitless efforts to make their online marketing work and more often, they are simply hiring someone else to do that for them rather than taking their digital presence in hand themselves. It is vitally important that YOU have some level of control over your website, its marketing, and what gets done with the leads that come from it – you can not depend on your company to bring in the leads for you and no amount of technology will do it for you as effectively as you yourself may be able to with some guidance from REAL online marketing experts. The internet has leveled the playing field and as such you should embrace it and use all the valuable tools it can provide to leverage your Realtor services. In this day and age the individual agent is no longer the little guy, but has the real ability to compete with the big names – provided they have the website and technology that allows them to do so, and the motivation to put in the effort any successful task requires. Maintain a good marketing platform with information available to the consumer upon request; provide them with the information and tools they require. Make certain that people searching the web for homes can find your site. Make sure once they get there they can find what they want easily. Drive traffic through effective online marketing and convert visitors to your site into registrations – and follow up on those leads personally. There are any number of ways to achieve these tasks above, and we are glad to assist our Realtor Website customers in understanding those methods. The first step is to use a Realtor website system that puts you in control of your content, search engine visibility, and lead management like the ones provided by Tour Real Estate Inc. Even if you already have a corporate provided website, or a freebie website with some other company, the benefits of having a powerful Realtor website from TourRe as your main marketing portal are too numerous to mention here briefly and we encourage you to visit our website for more details on the numerous services we offer. Get in control of your digital presence, learn from the experts at TourRE how to best market your services online and before long your broker may be coming to you asking for advice on how they can see results like you have! By now most Realtors are using Facebook, either personally or for business, and while it can be a little overwhelming at first this social network really does offer alot in the way of marketing your services and brand — but it’s not in Farmville, so close that now! That being said one of the biggest flaws (if you can call it that) is that once you’re part of it, it’s easy to forget you can (and should) be using it for strengthening your digital presence. Therefore it’s important to budget out your daily FB time for maximum effectiveness. Make your digital presence management part of your morning ritual. It only takes about 15 minutes to get the ball rolling – the key is sticking to it and using those 15 minutes wisely, and hey, if you add in an extra 5 minutes to see who needs to be whacked on Mafia Wars, it’ll be our little secret. Update your status – this is the daily mantra. It’s the easiest thing to do and takes the least time. Tell everyone what you are going to be doing today, share an inspirational or witty quote, or pose a question. Status updates are especially key to your Fan Page as that indexable text can count towards your search engine placement. (consequently, Fan Page text is indexed by search engines, groups and other types of pages are not) Do NOT constantly bombard people with real estate this, real estate that, overhyping is one of the surest ways to lose friends and make enemies. 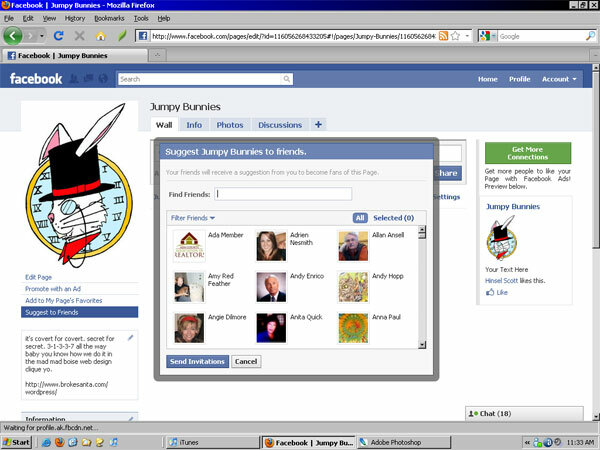 Check the Birthdays – Facebook lists your friends who have birthdays coming up right on your landing page. Wouldn’t it be nice to drop them a pleasant birthday wish? It might not count for much, but it will keep your name circulating around (and on their wall), which in turn leads to more clicks to your profile. Want to get personal? Check Facebook Phonebook to see if they have their phone number listed, you can even go that extra mile and wish them happy birthday by voice to really stand out. Comment on Status Updates – read through the latest updates from your friends and connections, engage them in conversation, state your sympathy, speak your opposing view, or even just make a witty reply. Social networking is ALL about interacting and interconnectivity, if you aren’t using it to communicate and stay in touch so that your name it out there, you may as well not be using it at all. Use Twitter – Yes, technically thats not a “facebook tip”, but well, it kind of is. 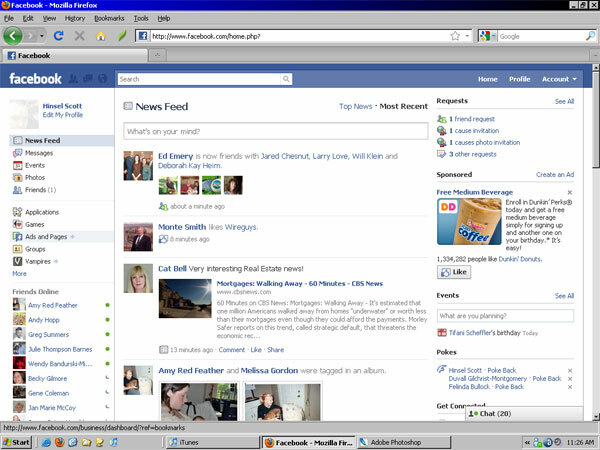 You can link Twitter to Facebook in a number of ways so that you can tweet from your phone and update your Facebook status at the same time.You can also use different Facebook applications to show your Twitter feed on your profile sidebar. Take Care of Your W’s — Where, Why, and What. You should fill out as much information as possible under your Info tab. In addition to that it likely wouldn’t hurt to write a note or two describing a bit about yourself. YES, let people know WHERE you are in your state, let them know WHY you got into real estate, and tell them WHAT you do and what services you offer — a Fan Page is a GREAT extension of this idea; works in conjunction with your existing profile. If they know, they won’t have to guess; this combined with keeping your name highly visible can in turn lead to more returns. 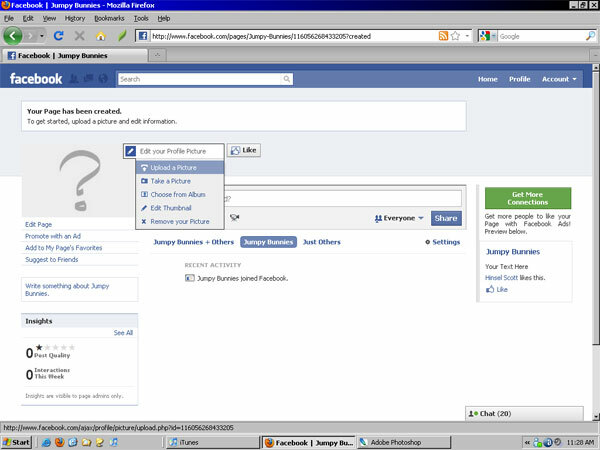 Keep an Eye on Events – Facebook allows others to send you invites for upcoming events in your community. It never hurts to check in on these and keep up with whats going on. Facebook even allows you to RSVP so that if you can’t make it to the event, or simply aren’t interested you can reply with a “NO” to the invite with an added message like “Sorry I couldn’t make it to your event, I have an open house this weekend”. Better yet, use the Events function to announce your own open houses and events to help encourage others to connect! Facebook isn’t the last word in social networking, but it is a great site that offers alot of ways for you to interact, make new leads, and generate business. Fact is most social sites these days have followed Facebooks lead and offer status updates and many of the same features – so these tips apply for those social sites as well, it’s up to you to use them! Still a little confused? Just not getting this ‘social networking’ mumbo jumbo? 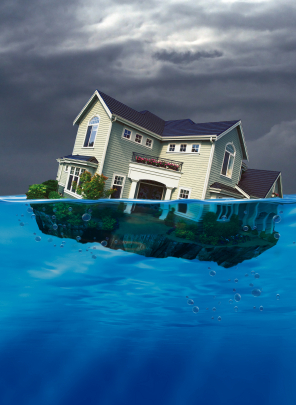 Tour Real Estate can help demystify the net! We have guides to help you optimize your website for search engines, help you setup social network accounts, and drive traffic to your website or blog. Our tech experts have the skills and knowledge that can help you get the most out of your online real estate presence. Contact TourRE today to find out more about the best Realtor websites and Realtor marketing available today! Do you agonize over blogging, trying to create new content, and get frustraited with not seeing any returns? There are a number of technical things that can drive more traffic to your blog, but the best place to start is in what you are writing itself. If you are marketing your blog correctly you will provide a short hook on one of your social portals (Facebook, Twitter, Tumlbr etc) that will encite curiousity or interest and prompt people to visit your blog for the full story. Fact is though, we live in a fast paced world and most people just want to get the info, and get out. It becomes your job as a blogger (especially if you are a frequent writer) to provide your visitors with the info they need, in a format that is easy to take in, and get them back out either to your site or on their way to hitting that bookmark/subscribe button. Here are some great tips to help you make your content more effective. Stay clear with your topic of choice for every blog post. No need to wander off and talk about the time your uncles cousins sisters brother took you fishing. Visitors will be in and out of your blog in seconds if they don’t find what they want…and it won’t be to your site or the subscribe button. “Message To your Market”. If your target market is first time home buyers in Idaho it wouldn’t do you much good to write a complex article talking about the statistical reasons for the .5% change in some obscure rate. They won’t understand. They will be gone to another site or blog that has the info they want. You can even go so far as to underline words too! USE your text styling options to make your content more accessible. Use bold and italics to highlight important keywords and concepts. Underline words or phrases to show particular importance. Following the idea of using the styling of bold,italic, and underline: make your content very easy to browse through quickly, find key points and ideas, and get on to the next. Most people these days don’t read. They want the pretty picture and little else. Therefore having content that is concise and easy to scan over with the eye makes good sense. Write short, precise paragraphs, even if you have a lot to say. Break it down into something more easily read. There is very little more daunting to most web users than to hit a site that is just one huge long run-on sentence. By breaking your paragraphs into shorter sections you make it a lot more accessible to your visitors. Keep it clear, make it concise, and write pertinent, creative, content and you will be far ahead of the game in gaining repeat visitors to your blog and driving traffic to your other websites. Is all this mumbo jumbo? Do you need help marketing your Realtor services online? Tour Real Estate Inc has been providing the very best Realtor websites and online Realtor marketing for nearly a decade! Contact us today to learn more about what we can do to help you develop your digital presence, target your market, and move more real estate!! Why pay hundreds of dollars for the same website your competition is using? Tour Real Estate Inc provides quality, powerful Realtor websites that put YOU in control of your website content and search engine visibility. Our Realtor websites make YOU the contact agent for any listing displayed or searched for from your website. Lead capture websites and forms; tracking statistics allow you to stay in contact with potential buyers and target marketing strategies that get results and help you move more real estate! 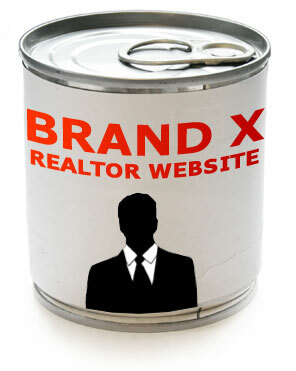 Before you shell out wads of cash for a Realtor website or redesign to a company that offers much less, contact TourRE. We can provide cost effective, powerful, Realtor websites and Realtor eMarketing to help you move more real estate for a fraction of what others will charge for a lesser service. Tour Real Estate Inc has been specializing in the best real estate websites for over a decade. Our focus is on creating the most effective, customizable Realtor and Real Estate office websites online today. We do one thing, help you move more real estate, and we do it extremely well. Real Estate Market Got You Down? Realtor Websites as Low as $100 ! not for redistribution without permission. 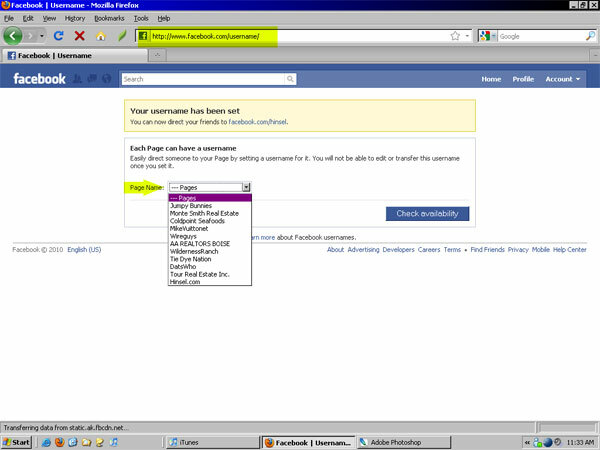 Sign in to your regular Facebook account. 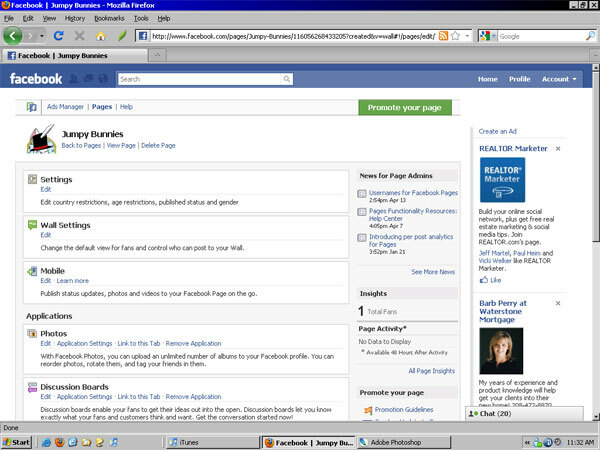 On the main landing page you will see Ads and Pages in the left sidebar. Click it. On this page select the criteria that meet your needs. (Likely local business). And then enter your page name. This is set in stone so make sure the spelling is correct and the name is exactly what you want to appear – there is NO way to reset this once it is chosen. 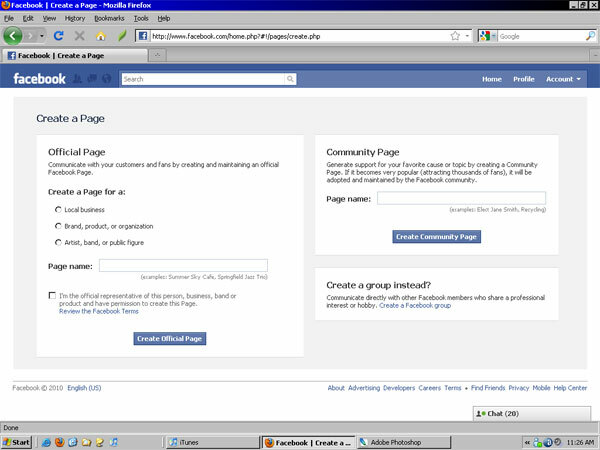 Your Fan Page is now created. Click the ? image to upload your fan page picture. Write something about your fan page/services in the info box under the photo as well. You will also want to click the INFO tab and enter any contact info, websites or other info that you want to display in that section. Next you can begin more advanced features like adding Static FBML to your page, adding admins, and other various settings by clicking EDIT PAGE under the fan page photo. From this edit page section you can choose what page visitors initially land on, view insights to track visitor data, and add applications. 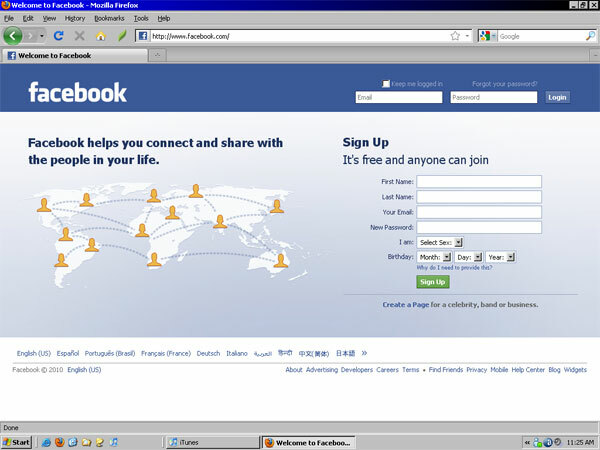 You will likely want to add Static FBML to your fan page – this application allows you to add photos and text to custom tabs on your fan page. Some HTML knowledge is required, so if you aren’t familiar with writing code you may want to consult a qualified HTML expert. 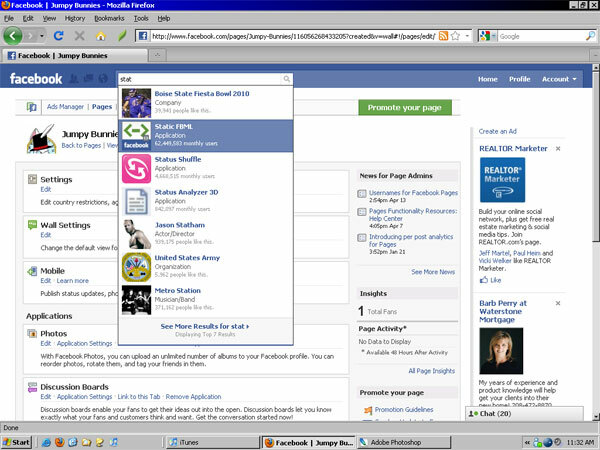 To add Static FBML just type it in the search bar at the top, visit the page and “Add Static FBML” to your fan page. The settings for this application will then be editable from your main Edit Page section by clicking (edit) next to the application name. *search for Static FBML. Visit their page, add it to your fan page from there. From your main fan page don’t forget to Suggest to Friends – this is how you let others know you have a fan page and encourage them to join! Need more help? Contact Tour Real Estate Inc for the best in Realtor Websites, Realtor Marketing and more. We can help you set up Facebook Fan pages with great custom graphics for an affordable price.